The head angle can adjust. 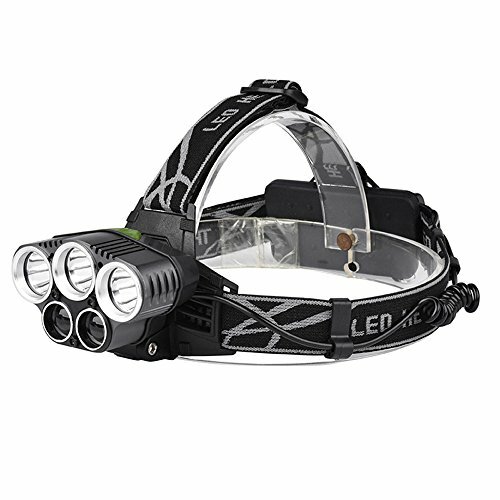 ♥♥♥ Lightweight, super-bright, This torch can be headlamp, waist lamps, bike lamps or portable lamps, which is suitable for security guard,camping, riding, running, night walking, mountaineering, fishing, hunting, reading, car repairing DIY works or any emergency situation such as fire,hurricane,power outage or blackout. ♥♥♥ Hands-free to achieve a real convenient outdoor sport or travel! If you have any questions about this product by Sipring, contact us by completing and submitting the form below. If you are looking for a specif part number, please include it with your message.